The 4 x 5L Martin Professional Lighting RUSH Club Smoke Dual Fluid is four 5L bottles of dual-purpose fluid designed to provide fog and haze effects for lighting designers and production techs in clubs, concert venues, outdoor events, and live stage applications. Its water-based formula is made with ultrapure deionized water and won't leave a residue on your equipment or surroundings. 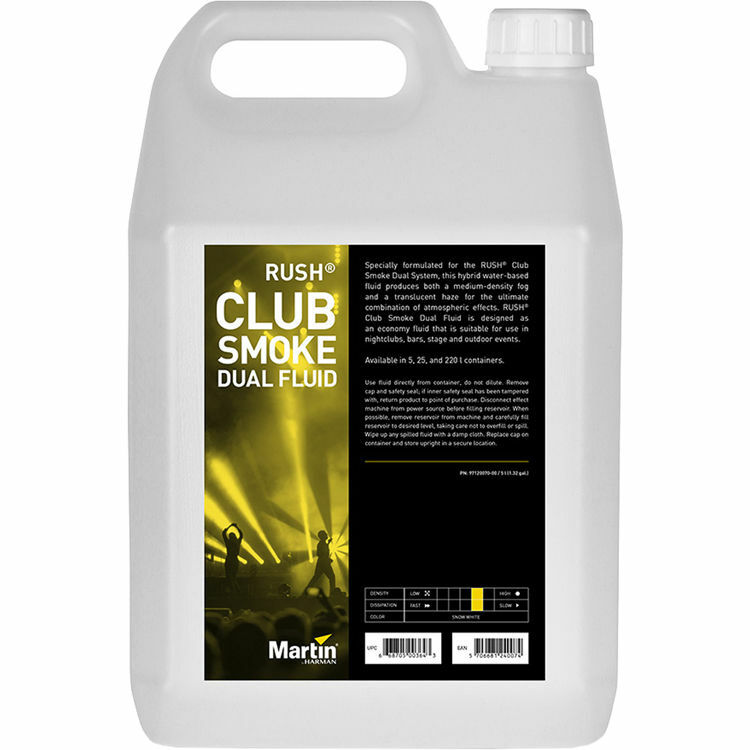 When used in your RUSH Club Smoke Dual system, it produces medium-density fog and translucent haze with a long hang time.